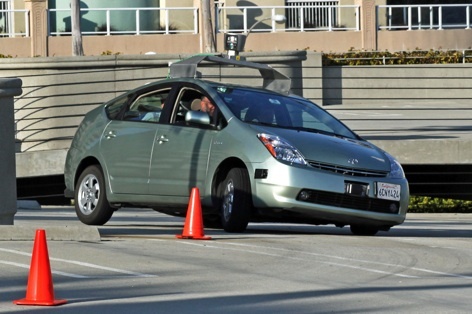 Driverless vehicle technology is developing rapidly. 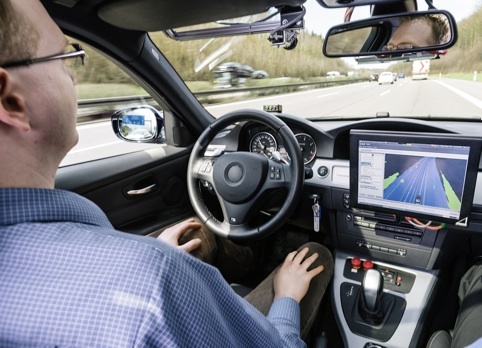 Numerous semi-autonomous systems are already available in cars today and fully self-driving models are being tested in locations around the world. But will these vehicles remove the need for a human driver (or at least supervisor) altogether and what are the barriers — technological and legal — to this happening? What is the current ‘state of the art’ in self-driving car technology that has been installed in test models but not necessarily made it to the roads yet? Tim Edwards: All the key technical aspects required for self-driving cars have previously been demonstrated in some form since 2004. Within the last 12 months we have seen most of the major automotive brands now showing some form of self-driving vehicle. The limitations that exist with current demonstration vehicles tend to be related to cost, packaging and reliability. However, there is still significant work to be done to improve the automated vehicles’ ability to handle the full range of complex traffic and environmental conditions they might encounter and to do so without prior knowledge, special infrastructure or human driver intervention. Michael Fausten: Bosch is developing a number of driver-assistance technologies that form part of the effort to move towards fully automated driving. 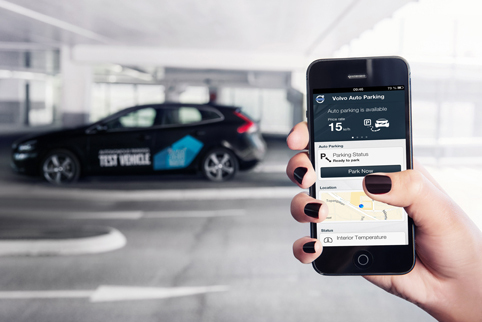 ‘Automatic Park Assist’ allows a car to be parked remotely using a smartphone app and is likely to be available from 2015. ‘Traffic Jam Assistant’ will step in when the vehicle is moving at speeds between 0 and 30mph and is expected to enter series production in 2014. Further functions will follow to cover ever-faster speeds and more complex driving situations up to a highway pilot, making fully automated driving a reality. Finally, Bosch has successfully trialled highly automated vehicles on the German autobahn and on US highways, which gather data using an array of sensors, including radar and video cameras, as well as a roof-mounted laser scanner (LIDAR) that generates a detailed 3D map of the environment. How does the technology deal with situations that would currently involve decisions based on individual politeness, for example, stopping to allow pedestrians to cross a road or allowing other drivers out of a junction? Jonas Ekmark: We have demonstrated technology of this kind, but the first technologies available for the consumer with autonomous driving — driver not having to supervise the drive — will be developed for certain routes suitable for autonomous driving, for example, commuting and highway roads with no pedestrians. The automated vehicle’s ability to interact with human road users is a key issue that will need a lot of attention in the development. Tim Edwards: There is an example from the Google car project, which found that when the automated car tried to pull out at road intersections after politely waiting its turn, other drivers didn’t necessarily allow the vehicle enough time to do so. 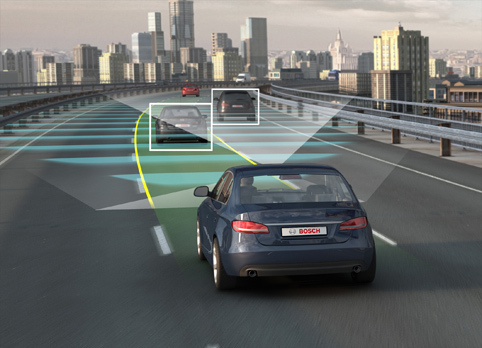 In this case the issue was resolved by programming the car to be more assertive and to start creeping forwards to signal its intent to other drivers. Sharing data with other vehicles is another way of solving this problem. In a human driving situation you would look to other drivers to indicate who would be the next to drive. Automated vehicles don’t see that, but the data communicated between vehicles can, in essence, do the same negotiation we would do visually. Similarly, sensors at crossings and intersections can alert vehicles to the presence of pedestrians. What measures protect these systems against hacking? Tim Edwards: There has been rapid growth in the number of functions controlled electronically within a vehicle and in vehicle connectivity, resulting in a rise in the number of opportunities for, and potentially severity of, security breaches. Traditional automotive engineering had a robust approach to functional safety and reliability. The important thing now is to fully incorporate security aspects into the design, development and validation processes. There needs to be a move from looking at designing the vehicle for dependability, towards designing for resilience. Jonas Ekmark: All external communication links will be checked for authentication and will be encrypted. It is important to understand that the vehicle is not designed to be remotely controlled, so there is not much point in trying to control it remotely. Radio communication can always be disturbed from outside and this would lead to the vehicle handing back control to the driver or stopping at the nearest safe location. There will also be protection measures for the vehicle-internal communication network. Michael Fausten: Using dual architectures, we will create a strict separation between functions that are relevant for driving, such as driver assistance, and ones that are not, such as infotainment. In the future, a hardware security module will also safeguard the communication in each control unit, and the company Escrypt, which has been a Bosch subsidiary since 2012, is developing software for this. Does driverless technology track and record a car’s location? If so, who is this data shared likely to be shared with, at what point will it be anonymised and what legal protections will apply to it? Tim Edwards: It is possible to automate a car without recording where it has been and it is certainly possible to do this without broadcasting that information. However, there are advantages to self-driving cars sharing location data with other vehicles and traffic management systems as this potentially allows all systems to ‘see further ahead’ resulting in optimised vehicle performance and a better overall traffic flow. Data can be anonymised before it leaves the vehicle. The question regarding legal protection is extremely poignant as the data inside a self-driving vehicle will be a lot more detailed. In many cases (depending on country), the vehicle owner could expect that this data is their personal property. However, it is likely that amendments in law and insurance contracts (among other things) would transfer the right to this information to other authorities if required. Jonas Ekmark: We will do our utmost to protect our customers’ ‘privacy while connected’. 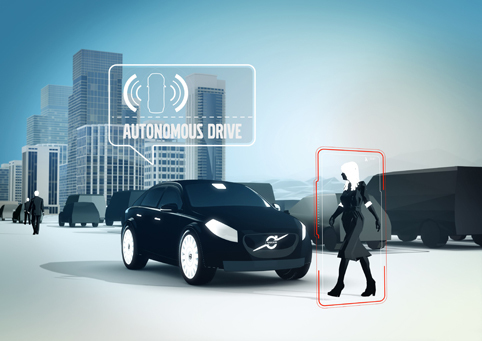 Therefore, Volvo states that all data collected while Volvo drivers are connected belongs to the customer. Volvo will never trade personal driver data with third-party companies — if the driver does not explicitly allow or mandate us. 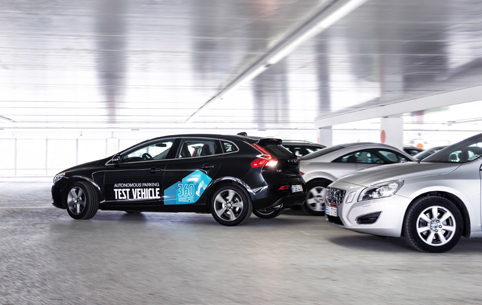 It is Volvo’s form of ‘protection’ in the connected car. Will the technology reach a point where cars can become completely driverless, dealing with any kind of unpredictable situations such as extreme weather, or will a human driver always be needed? Michael Fausten: Fully automated driving will offer maximum safety and convenience. We are confident that it is reachable using the new generations of sensor technologies, considering a redundancy. Apart from the sensor design, the topics of security and reliability, the electronic architecture and highly precise maps will be also crucial for future functions. Jonas Ekmark: It will take a long time before self-driving cars are able to deal with any situation without bringing a human into the loop. Extreme weather will limit the functionality of the sensing system. The self-driving car may have to stop safely and wait, which would possibly be acceptable as there is no human inside. To start with, we will allow automated driving only in good conditions. But there is no fundamental reason that self-driving vehicles would always need a human driver. Just think about what NASA has accomplished with its Mars Rover ‘Curiosity’. What kind of testing does/will self-driving technology have to undergo before it is legally allowed on the roads? Tim Edwards: There is no clear legislation or approved standard on the testing that self-driving technology will need to undergo yet and the timing and wording of these requirements will vary between countries. In the US, several states have permitted testing of self-driving vehicles on public roads. This testing is important to build up experience in real scenarios, but there are still ambiguities that need to be addressed. For example, in Nevada (the first US state to introduce testing of self-driving vehicles) a self-driving vehicle is required to have accumulated 10,000 miles before it can be granted a road licence, but without the ability to drive on public roads this is difficult to achieve (although specialist facilities are now starting to become available, such as the MIRA City Circuit). If a car using currently available self-driving technologies were to malfunction and cause damage or injury, who would be held responsible from an insurance point of view? Dave Meader: Unless the vehicle involved has been subject to a product recall, proving that an accident was the sole and direct result of a technology malfunction is going to be very difficult from an insurance perspective. Using the example of a claim for damage caused by a defect with an automated parking system, it’s unlikely an insurer would pursue the vehicle manufacturer for the claim as the cost of the damage would have been minimal due to the vehicle travelling at a low speed in parking mode. How do these technologies affect a driver’s insurance premiums and would completely self-driving cars have similar implications? Dave Meader: The insurance industry factors in certain new technological features, such as autonomous emergency braking, into its monthly group rating process, whereby cars that have good crash-avoidance systems are rewarded with lower insurance groupings than an equivalent car without one. Once we’ve insured someone to drive a car that has a lot of safety features, the onus is then on the individual’s own driving. But it is too early in the development of fully self-driving cars to be able to assess the insurance implications. What questions would need answering to make self-driving cars viable from a regulatory and insurance point of view? Michael Fausten: Basically, the Vienna Convention [a 1968 international treaty ratified by many countries, including most of Europe but not the US] clearly forbids automated driving. This and comparable national legislations have to be adapted to the new technical possibilities. Associations, legislations and insurances are discussing the open topics. We are confident that these questions will be solved when we have the technical solution available. Jonas Ekmark: There are several questions that need to be clarified before autonomous cars can be reality on public roads. Legality, liability and insurance are key issues. This is also something we are investigating in the Drive Me project [Volvo’s autonomous vehicle trial]. One good thing is that self-driving cars will follow rules and limits and drive carefully. There is reason to believe that the insurance for automated driving would be less expensive because it will be safer than human driving. Legality and liability will be different between countries and will influence how self-driving technology appears in the market. Dave Meader: We believe changes to road traffic legislation will be necessary to make self-driving cars legal on the roads. I would expect this to be led by an insurance industry steering group or consultation, along with the involvement of a number of other key stakeholders, so that customers are not in any way left without cover. When do you think the first fully self-driving car will be available to buy? Jonas Ekmark: We aim for market introduction of a vehicle that can perform highly automated driving on a certified road in 2018–2020. We will have the first cars available for select customers already in 2017. Tim Edwards: This is a very difficult question to answer — not just because there are still technical, legal and standardisation issues to be resolved, but mass production of self-driving cars would fundamentally change the way road transport systems work, as well as the business model for automotive manufacturers. The real question is ‘would you want to buy a self-driving car?’ I predict that over the next 10 years we will see a lot of ‘business as usual’ with increasing levels of automation in vehicles but always with the driver able to choose to do most or all of the driving. Once the car is fully capable of self-driving everything changes. It would be an expensive luxury to leave an automated car sat idle for 22 hours of the day, but instead people might choose to use an automated public transport system or pay for a private car only when needed. It is worth noting that Google have repeatedly stated their aspiration to have their fully self-driving technology in public hands by 2017. This would be many years ahead of the companies represented by the panelists here. When this technology is certified safe for unmanned use (NTHSA Level 4 automation) then we will see a paradigm shift in surface transportation and the business case for rapid uptake of Level 4 vehicles is absolutely compelling in my opinion. It is also worth noting that fully automated Level 4 vehicles do not require the sort of connectivity that is assumed here – although it would be beneficial. Given the costs of providing the connected vehicle infrastructure and the anticipated rate of effective market penetration then it may be wiser to concentrate on the automated vehicle technology – as the private sector will bear the premium for this technology as it will overall reduce their costs and improve efficiency. I have to ask who actually wants this technology? Personally I like driving ,I like being in control of a dynamic machine that is doing what I ask of it and I thoroughly enjoy the sensations it gives me. It strikes me that if you want a driverless car then you dont enjoy driving and in that case you should use public transport or indeed get a taxi ! Once again a lot of money that could be put to a good use – medicine, education, space exploration etc. is being wasted on stuff that just is not needed. Bin these things, let the folks who dont like driving get the bus and get off the roads so the rest of us can get on with it. We already have driverless cars. Automatic everything, electronics ’til the cows come home. Planned obsolescence at it’s best. Will it reboot at 80 mph? My Toyota hybrid was recently recalled for such a thing. Is it free? Will this allow us to text and phone ourselves into oblivion and/or move farther out of the city? Age old question -Should we do it just because we can? There was no mention of protection for cyclists or motor cyclists who are an approaching target, not just standing on street corners like pedestrians. Humans don’t see these targets, so can we trust these ‘automatons’ especially when they creep at junctions? I also agree with Dave; if you don’t like driving get a bus or a taxi! Fully autonomous passenger carrying vehicles (APCV) are potentially ripe targets for people with bad intentions. Insurance scammers being the least dangerous perhaps. For the article to compare the Mars rover in say, City traffic terms, is laughable. It takes much pre-programming for the Mars rover to move a couple of metres. Apart from ‘big brother’ issues, APCV’s will always be programmed with ‘Safety first’ principles, so it is likely traffic movement will be slow. I too like driving and concur that people who do not should focus their travelling on public transport, which is exactly where all APCV research should be centred. I take exception to this – the ‘Give Way’ sign across a side junction means that one must not pull out into the fast moving main road traffic flow unless it is safe to do so and without forcing the traffic to slow down or take avoiding action. When drivers creep forward out of a side junction it is quite alarming as one doesn’t know what the driver is likely to do next – it seems that the Google Car Project is advocating breaking the rules of the road through impatience. We are all familiar with arrogant drivers who, when wishing to turn right out of a side junction will pull out when a short gap appears in the traffic from their right and then sit there blocking this lane thus pressuring traffic from the left to stop and let them in. It is ridiculous to say that if one would rather be driven in an autonomous vehicle than drive it personally they should get a bus or a taxi! I would like the option of having my own transport available to go where and when I want it to and not having to inch along in an hour traffic jam. I would much rather the vehicle was in control in these circumstances. Also, when driving long distances, it would be a real advantage for the car to take over the driving while I relax. Just because i have these views does not mean that i would be happy to use public transport, which i avoid at all cost! If you want to be driven about why not use a taxi? Also why would you want the expense of buying, taxing and running a vehicle if you aren’t going to drive it. A taxi makes much more sense. You get to sit and read, nap etc. without having to pay for the car to sit on your drive. Also if we directed the money which is quite frankly being wasted on this into decent public transport and new designs for buses and trains maybe we could have attractive user friendly public transport which even you might consider using. Imagine where this could lead. The kids are packed off to school in the car – no adults. After they get out, the car returns itself to me so I can go to a city centre meeting and work during the journey. After dropping me off immediately outside the venue, it parks itself a couple of miles away in a very narrow space, and returns after I summon it on my smartphone a couple of hours later. But what happens with breakdowns or accidents in those scenarios – could the kids cope? Do I need to own this car? Or just pay a car rental company as I go? This technology is potentially life-changing and potentially fraught with problems. The situation that I currently have with owning and running a car would not change. The only difference is that I would not be driving! I don’t own a car to drive it, I own a car as personal transport to get me where I want to go, when I want to go there. This will still be applicable if I had an autonomous car. If I wished to use a taxi or bus, I would already be doing so. I would not use either of these forms of transport to save me from driving, it would be because for whatever reason a private car would not be the best option for that particular journey. I would never consider public transport, as I live in a rural area and however much investment was put into public transport, it would never suit my needs. Do you have an automatic washing machine? If so, why not sell it and use the launderette? What a daft comparison. Washing machines cost a fraction of the price of a car, dont attract annual tax costs and do not have anywhere close to the service costs. I also live in a rural area and dont use public transport. I would use a taxi if I didnt drive and save myself the cost of car ownership. But as I said I enjoy driving. I just have trouble understanding why someone who doesn’t like driving would want to pay to own and upkeep a car when you can just rent a car and driver anytime you need one. And I dont care how much you test it, monitor it or any other measures that are taken I dont want to share the road with an unmanned machine! There is always something that can go wrong! It is no more a daft comparison than yours. I have not said anywhere that I dont like driving, I actually enjoy driving but dont enjoy traffic jams and would like to have the option of an auto pilot on long journeys. Why the heck would I want to use public transport? It isnt sitting on my drive so that I can use it a moments notice, it is expensive and inconvenient. All that having an autonomous car would do is give me exactly the same features that I currently enjoy with the option of auto pilot when I wish to use it. I did not have cruise control in years gone by, but wouldn’t be without it now. It’s just progression. I have to agree with Paul, it is no different really to the progression of having cruise control except that it increases the level of automation. I also enjoy driving, but on long distance, monotonous drives I always use my CC because it makes the drive easier and, in my opinion, safer as I do not have to be consciously aware of my speed so I can focus on the drivers around me and my own road position. If we take the view that all vehicles on a motorway should be doing a between 60-70mph in order to be deemed “safe” then automation surely should have no problem dealing with this. Indeed, it would likely prevent a large amount of driver error caused accidents! Would a driverless car be able to play slalom on urban streets, or would it always wait until there was no opposing traffic before proceeding even if there’s enough room for two vehicles to pass safely? Would it be able to detect small legs passing between parked cars and into the street? Would it be able to make eye contact with pedestrians at junctions? Would it assume that a cyclist may suffer a broken chain and fall into the road? Would it be able to anticipate what other road users (motorists, pedestrians, cyclists) are about to do based upon experience? Would it be courteous? Would it assume that when passing a bus at a bus stop someone may run out in front of it? Would it assume that all other road users will always follow the rules? Where in the vehicle would the super-computer needed to make all these, and other decisions, be mounted in the car? How much electrical energy will be needed to operate it? Will the reversing sensors be reliable? 2 out of my 5 have now failed after 3 years, presumably because of water ingress. Looking for replacements because I refuse to pay someone else to fix it. Would an accident caused by the limitations of the driverless car be a defence in a court of law? The washing machine comparison is rubbish- mine just failed due to a faulty sensor, but at least it didn’t crash. Cost me 15 quid for a new part as opposed to 150 quid plus for a call out. The MoT promises to be very interesting for driverless cars. I bet it’s more than the 30 quid that I now pay. Last word- like many people I enjoy driving and doing so safely within the rules of the road. How does an autonomous vehicle stay in the lane when the lane markings are barely visible? There are many roads where the paint is worn off, or covered with dirt or snow. Will the system recognize a policeman directing traffic? How will the autonomous vehicle recognize road signs, like detours? How will it avoid pot holes and other hazards? Will it notice children playing near the road, who might run out in front of the car? Will a driverless car know to stop for a school bus when the Amber lights change to red or when one is stopped to load or unload students? I like driving and am not so impressed at all with the idea of a driverless car. However, there are two instances where driving can be stressful. The first is in heavy traffic, where one has to stop and start seemingly endlessly. In such a case I would rather sit back and relax, perhaps read a book or have a go at a crossword puzzle or a Sudoku game. How great it would be if the car took control in such a situation. The other instance where I would appreciate the car taking control is also stress related. Driving on the motorway at night can be very tiring and therefore stressful. Instead of having to stop and take a long break, making my journey much longer, I would very much prefer to perhaps take a nap with the car still speeding to my destination. Having park assist is mostly a gimmick. Every driver should be able to perform such a basic task. But I would very readily welcome taking the stress away during these two particular stressful driving times. It’s called playing chicken, I think. If visiting another country in my driverless car, would the different national road regulations (or even driving on the opposite side of the road) be taken into account ? Congratulation to the up-coming development. How safe is it in Rigions with bad roads due to poor maintenance?